The U.S. women’s soccer team has received a pledge from the maker of LUNA nutrition bars to pay $31,250 to each of the players who makes the 23-woman World Cup roster. The U.S. women’s soccer team has received a pledge from the maker of LUNA nutrition bars to pay $31,250 to each of the players who makes the 23-woman World Cup roster. The sum is equal to the difference between what the U.S. Soccer Federation pays the men’s and women’s national teams in bonus money for qualifying for the World Cup. LUNA’s corporate parent, California-based Clif Bar & Company, made the announcement in conjunction with the U.S. women’s national team’s players union on Tuesday, which is Equal Pay Day in the United States. Last month, the U.S. players sued U.S. Soccer alleging that the governing body’s treatment of the women’s team violates the Equal Pay Act. The players have said in court documents that U.S. men’s team players earned a $55,000 bonus apiece for making the World Cup roster in 2014, and the women earned a $15,000 bonus each for making the 2015 World Cup roster. Clif characterized the payments, which total $718,750, as a donation, made in partnership with the U.S. Women’s National Team Players Association. The union is a 501(c)5 non-profit, which is why the word “donation” was used. 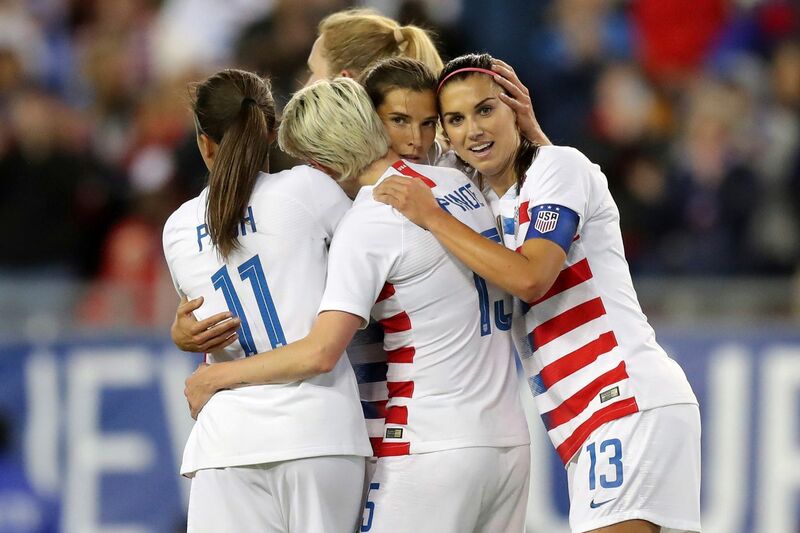 U.S. Soccer has said that the differences in pay for the men’s and women’s teams are the result of different collective bargaining agreements that set different pay structures. The agreements have generally not been made public, except for what has been used as evidence in various court cases in recent years. A source told The Inquirer that this deal is not going to be LUNA’s only commercial investment in women’s soccer. No further details have been made public yet. This is the first commercial sponsorship or partnership deal that the USWNTPA has done since it gained the right to do deals on its own when the current CBA with U.S. Soccer was signed in April 2017. The union has also done licensing deals with Fanatics and other merchandise entities.